Caralyn Baxter, pictured at the Center of Excellence in Park City, Utah, is the head physical therapist for the US halfpipe ski team. Sign up to receive our Winter Olympics newsletter. On an early December night, David Wise sat at a table with a celebratory helping of chicken and waffles on his plate. The halfpipe skier was surrounded by six members of his support team at The Dredge, a restaurant and bar in Breckenridge, Colo. They had convened to break bread and toast Wise’s US Grand Prix win at Copper Mountain the night before, his first win at a World Cup event in three years after being dogged by injuries and coming up short in the years following his gold medal at the 2014 Sochi Games. This is a regular practice for Wise, treating those who help prepare him for competition to a meal, and among those gathered that night was Caralyn Baxter, the head physical therapist for the US halfpipe ski team. Baxter, who is from Bow, N.H., had spent the prior season trying to piece together Wise enough to just get him to the top of the halfpipe for competition. His injury list, while unforgiving, was not season-ending: two concussions, a separated AC joint, a fractured hand, and a back injury. “It’s an understatement to say that Cara and I have been through a rough couple years because I was injured,” Wise said in a recent telephone interview. 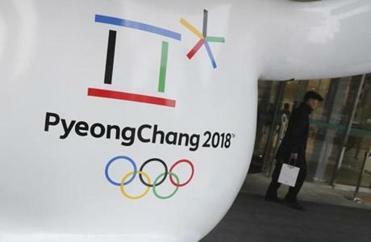 The Opening Ceremony on Feb. 9 will officially kick off more than two weeks worth of events in South Korea. Before that December win, Baxter had seen Wise trudge through the arduous times, even hearing comments around the hill that Wise was on the downside of his peak, that he was finished as a dominant halfpipe skier. So when Wise captured that victory at Copper, beginning his path to the 2018 PyeongChang Games, Baxter was at once elated and relieved. 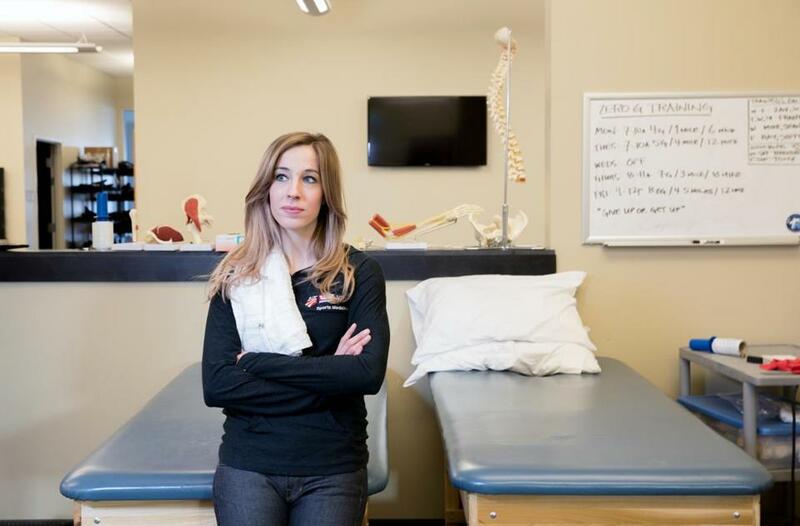 Ask Baxter, a graduate of Northeastern University, about her duties as head physical therapist and she will quickly hit you with an, “Oh, my gosh,” and chase it with, “Everything,” before rattling off the list. During a competition, you can find Baxter at the top of the halfpipe doing any number of things: Handing out snack bars. Diagnosing injuries on the spot. Assessing possible concussions. (She is also a certified emergency medical responder.) Coordinating athlete care with the team physician. Monitoring fatigue levels. Reminding athletes to hydrate. Giving doses of ibuprofen. “There’s so much going on, and it’s total chaos,” she said. Of course, priority No. 1 is to fulfill her duties as a physical therapist. But Baxter, a skier herself, is more than that, also playing hype woman in the start area, trying to keep the mood high among the athletes. She sings Taylor Swift songs with Annalisa Drew, who is from Andover, before Drew competes. She offers words of encouragement (“Go crush ’em, bud”), fist bumps, and sometimes just a nod of confidence. “Sometimes it’s not even verbal, but sometimes I just ski by Cara and she gives me that nod like, ‘Yeah, Dave, you’re on one.’ And like, that’s all you need sometimes,” said Wise, who took first at the Snowmass Grand Prix World Cup in early January and won gold at X Games Aspen a week later. Speak with a few of the halfpipe skiers on the team and the word energy is brought up more than once when discussing Baxter. “You just feel really confident in having her support behind you,” added Maddie Bowman, the halfpipe gold medalist in Sochi. Baxter became head physical therapist in November 2016. “I always have to keep in mind the amount of work they just put in on the hill,” she said. Baxter has spent her nearly two full seasons with the team carving out relationships with each athlete, trying to best learn their personalities, how they communicate, and what they need and when. As an old friend once told Baxter: Being a physical therapist is figuring out how to be everyone’s best friend. She has achieved that harmony, partaking in group watch parties of “The Bachelor” and being dubbed a great person to travel with. But it was not immediate. Still, probably once a week, Baxter will find herself lying on her back and crying from exhaustion. Her Instagram page, a grid of splendid outdoor wonderlands, creates the illusion that Baxter’s work life is as effortless as it is to look at those breathtaking photos, prompting friends to mention how glamorous it all seems. “I’m like, ‘Yeah, I just did like five 14-hour days in a row and I don’t have an off day for another two weeks,’ ” Baxter said. In her second full season, Baxter has come to understand that some spare solitary moments are essential. Maybe it is driving alone to pick someone up. Maybe it is just a shower. “That was huge because early on I didn’t realize that I needed to do that and I was totally fried and I was like, ‘Oh my Gosh, I don’t feel like myself,’ ” she said. She learned quickly to roll with the punches in this job, to be flexible, to be available. A self-described Type A personality who prefers to be “very regimented,” Baxter came to US Ski & Snowboard full time from a private physical therapy practice in Park City, Utah, where she had worked for about two years while volunteering as a rotational physical therapist with the aerials and moguls athletes. It was a change, to say the least. But it was Baxter’s ultimate goal when she first ventured west upon graduating from Northeastern. (“I would do whatever I could to get my foot in the door at the US Ski & Snowboard,” she said.) She wanted to experience life outside of Boston, outside of New England, where she first cut her teeth with physical therapy and athlete care, working with Red Sox and Bruins players in her first co-op job with Massachusetts General Hospital, and first responder duties, working as a medical volunteer at the finish line of the 2013 Boston Marathon when a pair of bombs went off, killing three and injuring more than 200. “The way they separate the tents, it’s kind of like individual hospital units, so my unit became Triage Unit 1 and it was like obviously a crazy day and a crazy time for the whole city of Boston,” Baxter said. She wanted to go back, to give herself a different memory of the famed race. After another year of clinic rotations at Mass. General, she was back at the marathon finish line in 2014 as a medical volunteer, when Meb Keflezighi cheered and waved and carried with him an American flag as he triumphantly made his way down Boylston Street to cross the finish line first. Baxter grew up a competitive figure skater wanting to reach the Olympics. As a kid, she trained in New Hampshire before switching to the Skating Club of Boston when she was 13. She loved it. “It was my whole life,” she said. But Baxter was beleaguered by injuries: A stress fracture in her back, stress fracture in her foot, a foot fracture, hand fracture, tendinitis. “You name it,” she said. So Baxter eventually hung up her skates during her freshman year at Northeastern and plotted a different path. “Kind of like the classic PT story,” she said. “I did sports, I was injured, wanted to become a PT.” Now, she is the one helping the American halfpipe skiers recover from similar injuries that sidelined her Olympic hopes as an athlete. These 2018 PyeongChang Games, Baxter’s first, mark a goal achieved, even if it turned out a little differently than she dreamed of as a kid. “I have these moments where like, ‘Gosh, if I could only go back and tell little 10-year-old Caralyn that she’s actually going to go to the Olympics and maybe that’s not how she pictured it back then,’ but what a cool moment that would be,” she said. Rachel G. Bowers can be reached at rachel.bowers@globe.com. Follow her on Twitter @RachelGBowers.